Taylor Rohl has a passion for fashion and she’s sharing that through her online boutique Rohlia. Rohl says the goal at Rohlia is to offer women unique fashion pieces that inspire confidence, grace, and charisma. 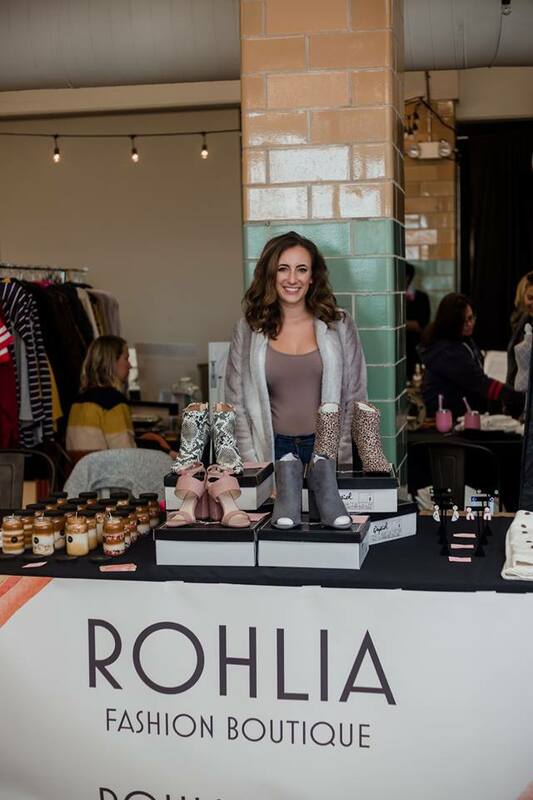 While in her sophomore year at Ohio State, Rohl realized that she could launch an online boutique that offered unique styles, better quality products, and a better fashion experience than you can find a retail stores. And launch an online boutique is just what Rohl did in August 2018. “My goal for Rohlia is to have styles that range from fun and casual to business glam and everything in between,” she says. She isn’t on this venture alone, though. Rohl says that she is surrounded by business influencers who offer advice when she needs it, including her dad, Rick, and her uncle as well as friends and professors from Ohio State. The inventory from Rohlia includes tops, bottoms, jackets, skirts, dresses, two-piece sets, shoes, rompers, jumpsuits, jewelry, and even candles. Price points for these items range from $10 to $80. Rohl says that versatility is what makes her boutique unique. Rohl says that she takes the time to carefully handpick every piece of the collection to ensure that she’s selling customers items that she loves, too. Styling services are also available from Rohlia. So, those who have questions about product, which size to get, color shades, or what to wear with pieces, the team is available to help. The private parties are ideal for large groups, especially for those who would like to kick back and enjoy a drink or don’t want to bring the kids out shopping with them. Rohl says she also enjoys teaming up with other business owners for collaborations to help support other local small businesses. You can check out Rohlia for yourself at The Eleanor (1137 N. High Street) every Thursday and Friday from 8am to 3 pm. Rohlia also pops up at other events throughout the year as well. Rohl says that the boutique will soon get in new arrivals for spring and summer and she will continue to post videos for customers on the newly-launched YouTube page to help give better insight to how the styles fight and lay, styling tips, and personal customization. You can learn more about Rohlia by visiting www.rohlia.com. You can also follow along on Instagram, Facebook, Pinterest, YouTube, and Twitter.